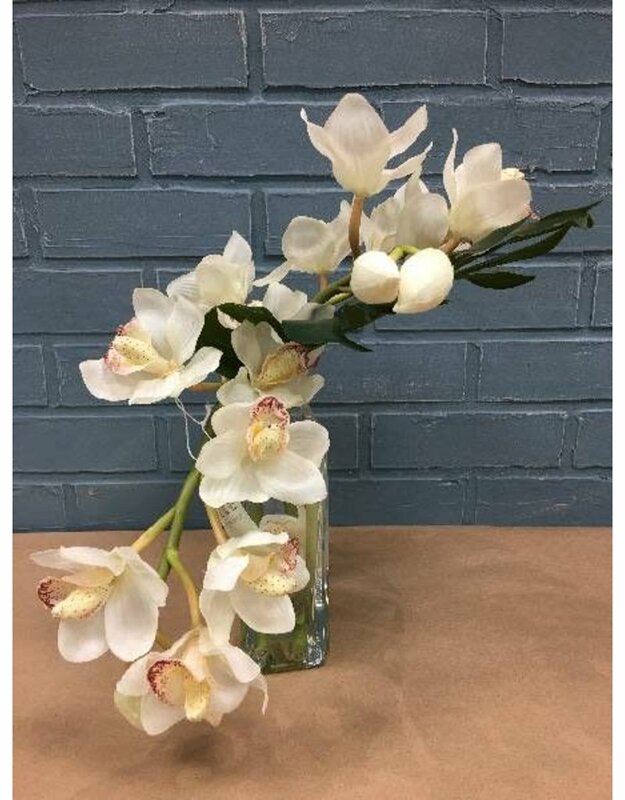 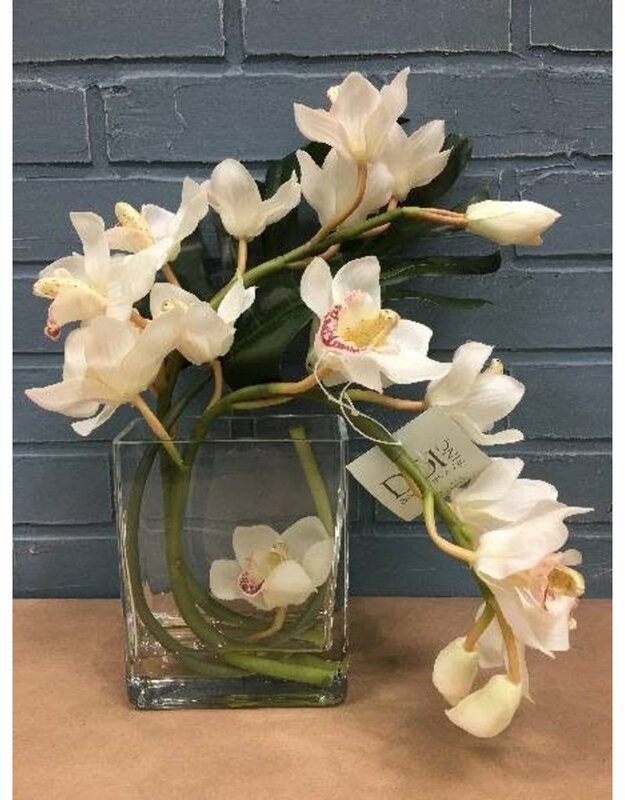 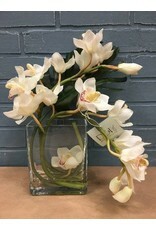 Lovely clear rectangular vase with silk flowers attached at the base resulting in a faux water filled appearance. 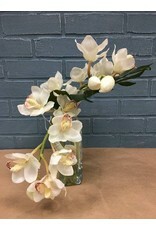 White overall appearance makes this a floral piece that can be mixed with other elements to fit seasonal desires too. 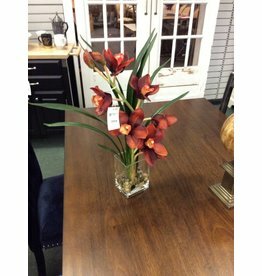 Deep red faux orchid with square glass vase that appears to be filled with water. 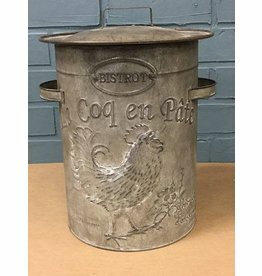 Adorable metal canister to add to your country/farmhouse decor!